American Alpine Institute - Climbing Blog: Why Would a Climber Need a Knife? I am a new climber-and I've seen many climbers carry knives. Many of them are really attached to them-and consider them their favorite tool. I've met climbers that have stories about their knives and talk about them like a companion. I was thinking I should invest in one-but would love to hear about your experiences or knife stories. I'm hoping that it will help me with this decision. This individual must have a strange local ethic. 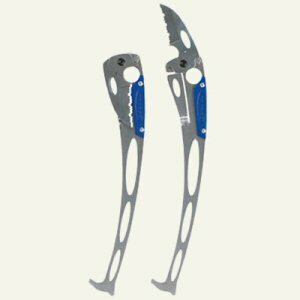 I've never heard a climber talk about his knife like it was a companion. No, instead I've heard climbers complain that their "harness knives" aren't sharp enough or to debate whether or not carrying such an item is even appropriate. So there are two parts to this question. First, what might a climber need a knife for. And second, why is there even an argument about whether such a tool is appropriate. Lucky he had a knife! But this was an incredibly unusual situation. In over two hundred years of climbing history, this has happened exactly one time. So this isn't exactly why you need a knife with you. 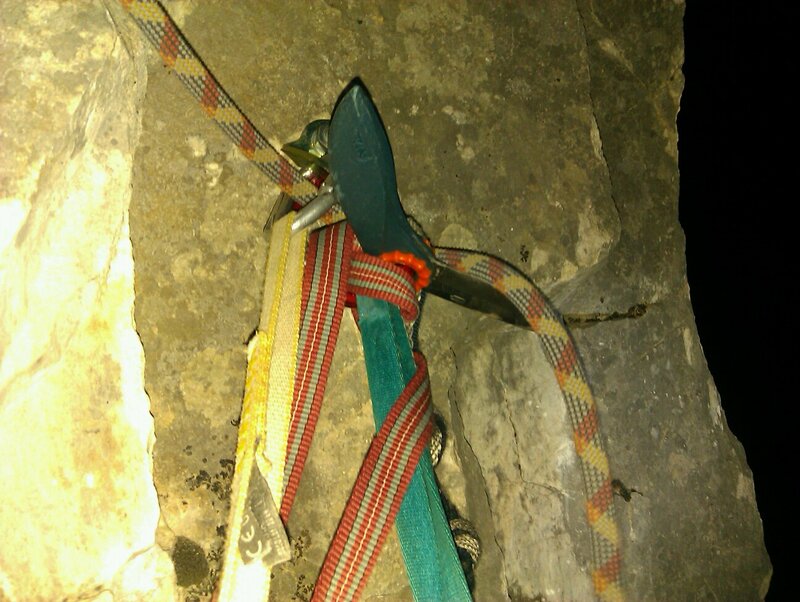 In the picture above, there are seven or eight slings wrapped around the rappel horn. Most of them are quite bad. Some are crusty. Some have been eaten by mice. And so the best thing to do is to add one more cord, right? The best thing to do is to add a cord (which you may need a knife to fashion) and then to cut the other tat away (which will also require a knife), so that there is one nice and clean redundant anchor on the horn. Clearing away the garbage at rappel stations provides great stewardship and it shows that you care about the crags where you climb. I alluded to the possibility that there was some controversy about carrying a knife. That is not at all the case. Every guide carries a knife. No, instead the controversy lies in what kind of knife you should carry and how you should carry it. came off a harness, opened and got behind a rope. This is an incredibly unusual occurrence. It is not uncommon for people to carry cheap "gas station" knives on cords hanging off their harnesses. Indeed, some people even carry more expensive knives the same way. The concern is that a knife might open and become dangerous, both from the possibility of getting cut as well as the possibility of it damaging gear. As such, there are some guide trainers that don't allow guides to carry knives on their harnesses. They prefer if they were in a pack. There are a couple of popular harness knives available on the market that theoretically will not open on your harness. 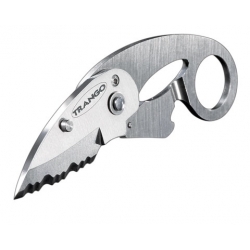 The Trango Piranah Climbing Knife (pictured above) is a very small knife that takes up very little space on your harness. The Trango Sharktool (pictured above) is a nice hybrid between a nut-tool and a knife. It is a nice way to eliminate some of the extra baggage of the other knives described here. In other words, you will only need to have one carabiner for both the knife and your nut-tool. 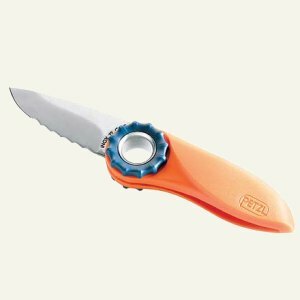 The Petzl Spatha (pictured above) is a tried and true classic. I would say that I've seen this particular knife on more peoples harnesses than any of the others listed. 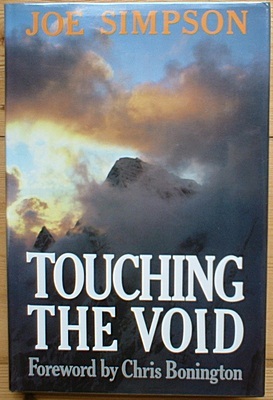 Certainly many climbers carry a multi-tool. This is especially useful if you are on an expedition or on a big alpine climb. Some will elect to carry their multi-tool on a harness, but most will stow it in a pack.